Fatigue, achiness, mood changes, and trouble concentrating are, more often than not, symptoms of a busy, hectic life. However, when loss of stamina and fatigue begin to take over your life, making simple tasks like making dinner as painful as running a marathon, there could be more going on than meets the eye. If this sounds like you, you could be suffering from chronic fatigue immune dysfunction syndrome (CFIDS). CFIDS, also called myalgic encephalomyelitis, is a devastating and life-threatening illness that affects over a million patients in the United States alone. With some studies indicating women are up to four times more likely to contract the illness than men, CFIDS is one of the largest women’s health threats in the country. And while CFIDS most commonly appears in women between the ages of 25 and 50 years old, children and men are also vulnerable to the illness – meaning our brothers, husbands, sons and daughters can be affected too. 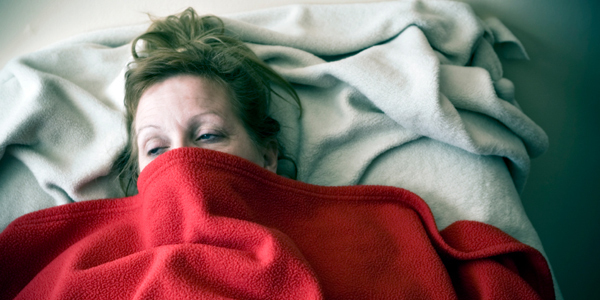 Characterized by debilitating fatigue, flu-like aches and pains, sleep disturbances, post-exertional exhaustion and cognitive dysfunction which persist for six months or more without getting better, CFIDS is a chronic illness which frequently goes undiagnosed (or misdiagnosed) for years. Additional symptoms can include cardiac abnormalities, dizziness, rashes and headaches as well as secondary viral or bacteria infections contracted due to a weakened immune system. Unmanaged CFIDS can wreak havoc on a normal life, making everyday tasks nearly impossible. Even worse, CFIDS is still a largely misunderstood condition in the public eye and medical communities, making obtaining a diagnosis (and then living with one) even more difficult. Below are a few steps that potential patients, recently diagnosed patients or friends and family of someone with CFIDS can take to help live with this debilitating disease. WHAT SHOULD I DO IF I THINK I HAVE CFIDS? Diagnosis is key when it comes to CFIDS. CFIDS can masquerade as several other life-threatening diseases (and vice versa) including Lyme’s, thyroid disease and even certain cancers, so seeking diagnosis through a licensed medical professional or disease specialist is essential. The CFIDS Association of America provides a self-test as a precursor to formal, doctor-assisted diagnosis on their web site. Note: This does is not intended to formally diagnose CFIDS or any other disease. As with any debilitating illness, only a licensed medical professional can help you treat and manage your symptoms. However, finding a doctor who specializes in CFIDS care and treatment can be difficult, and dealing with doctors who are skeptical of or unfamiliar with the illness can be dangerous to patients. ProHealth, a site dedicated to the CFIDS and healthy immune system communities, offers an impartial look at various treatment protocols and specialists. Patients can also contact The CFIDS Association of America for help or references. Note: If there are no specialists in your area, many family doctors are open to working in tandem with other knowledgeable professionals to provide adequate care to their patients. Talk to your primary care physician about ways you can coordinate care to treat your illness. Physical and emotional overexertion can exacerbate CFIDS, so lifestyle adjustments are essential. For females with CFIDS, the biggest obstacle to living a full life can be letting go of societal expectations and, instead, living at a healthy level regardless of pressure to do otherwise. “Women, especially those in the age group who most frequently come down with this disease (25 to 45 years old) are hit with a lot of expectations of what their lives ‘should’ be like,” says Lynn, a former college professor and PhD who gave up teaching when she became too sick to work. She stresses that, for her, learning how her career and family life fit within the confines of CFIDS was essential. This may mean reevaluating body image, readjusting career milestones or goals, redistributing household responsibilities, having family discussions about your physical limitations, abandoning the need to keep up with “other moms” and learning to ignore negativity from friends or family who do not understand your illness. CFIDS patients often cite isolation and loneliness as their prime sources of depression or anxiety. While some areas do offer formal support groups, many patients are too ill to travel or do not have the resources to do so. Online support groups provide necessary contact, support, and acceptance from a body of patients who can understand and relate to CFIDS. Support groups can also be an excellent place to discuss doctors, treatment options and tips for living with the illness. Here are three CFIDS support groups to check out. Patients can use these resources as tools to be proactive about their illness. Due to the staggering amount of misinformation regarding CFIDS, knowledge is power when it comes to treatment, lifestyle changes and dealing with social stigmas. If you are too debilitated by your symptoms to collect information on your own, find a close family member, friend or other patient advocate to assist you. While there is no cure for CFIDS at this point, there are treatment options and lifestyle changes which can alleviate symptoms. Diet, nutrition, prescription medications, limiting exercise and physical exertion, pain management techniques and immune support treatments can all be useful to patients, but there is no one-size-fits-all treatment. Patients and doctors should work together on a case by base basis. CFIDS patients should also take measures to stay up to date on new research – up until very recently, exercise was thought to be an effective way for patients to combat fatigue. New research, however, suggests that additional physical exertion can not only aggravate symptoms, but also speed up the progression of the illness. As a patient, knowledge is the greatest treatment tool you can wield. CFIDS is still battling daily for recognition, understanding and resources to find a cure. Campaigning for better awareness and treatment options are a must for patients, friends and family. For ways to get involved in your area, contact the CFIDS Association of America. Patients and advocates can also participate in CFIDS awareness day May 12, 2008, which will include the Fifth Annual Virtual Lobby Day, which allows patients and their supporters to contact Congress, the US Secretary of Health and the CDC to lobby for better awareness and patient care. Visit CFIDS Alert Digest to get started.